Sometimes, I just want to hug the internet. 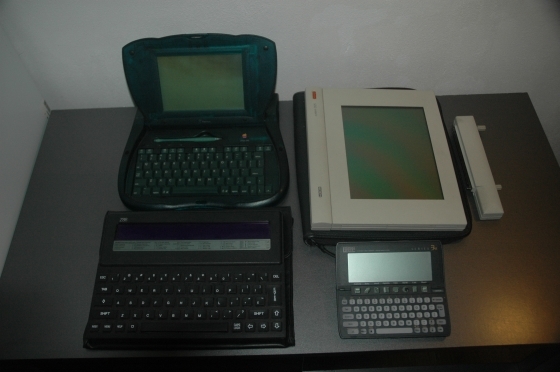 As some of you may know, I’m working on an article about the history of mobile computing. Tomislav, from the PEEK&POKE computer museum in Rijeka, Croatia, got in touch with me and generously offered to loan me four incredible mobile computers: a Cambridge Z88, a Psion Series 3a, an Apple Newton eMate 300, and, the one I’m most excited about, an NCR system 3125 tablet computer from 1993. Now I need your help: I’m looking for a copy of GO’s PenPoint OS (much more detailed overview) which can run on this NCR 3125. Before we talk about the NCR and PenPoint OS, though, I want to express my sincerest thanks to Tomislav RibiÄiÄ‡ of the PEEK&POKE computer museum. I never could’ve imagined someone would be willing to just loan this kind of equipment to someone on the other side of Europe, just to write an article about it. If you are in the vicinity of the museum, be sure to visit it – they’ve got over 1000 items, from early game consoles to rare computers from the ’90s. You can also donate financially through PayPal, and, of course, if you have any old machines you’d like to donate, you can do so too – the museum will take care of the shipping costs. You can contact Tomislav RibiÄiÄ‡ for more information. While all these four machines will find their way into the article, the NCR 3125 is of special significance. In the planning stages, when I was determining which software and/or hardware just had to be included, GO’s PenPointOS was atop of my list. This was frustrating, since I never expected to be able to get my hands on one of the NCR machines capable of running it. 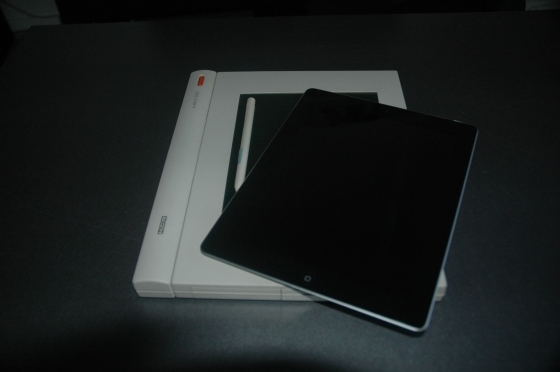 GO was the poster child for pen computing – what we today would call tablet computing – and while they weren’t the first to explore this concept, they were (one of) the first to develop an operating system entirely for tablet computing, including a GUI metaphor specifically tailored towards pen/tablet computing. I’m not going to chronicle the company’s entire history here, but suffice to say it’s some pretty cool stuff – and very much ahead of its time. 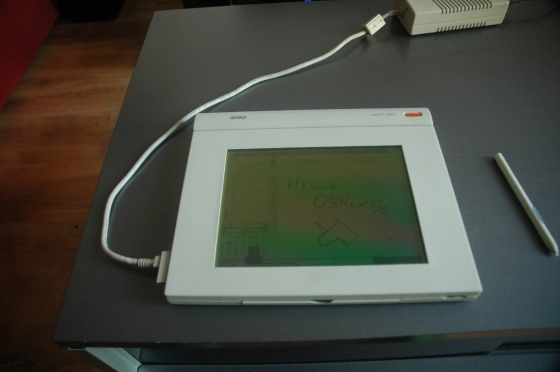 The NCR 3125 is capable of running PenPointOS, and Tomislav once almost managed to get his hands on a copy of the operating system. For now, it’s running Windows 3.11 with Pen Services for Windows – basically a few addons to make Windows 3.11 (barely) usable with pen input. The NCR 3125 is one heck of an amazing machine – it has suspend to RAM (instant – no Mac, Linux, or Windows box can beat this) as well as suspend to disk (and both are operating system agnostic – they appear to be part of the device’s firmware). Its battery is dead, so it needs to be plugged in at all times. As for specifications, it’s got a 386SL running at 20Mhz, and sports 4MB of RAM. It has a 20MB hard drive, and a passive black & green LCD with 640×480 pixels. The design of the hardware is striking – it’s incredibly minimalistic, straight lines, no frills, and almost feels like a plastic version of what Apple makes today. Tomislav also sent me a special attachment which you click on the top of the device – this attachment contains a parallel port, a COM port, a ps/2 port for a keyboard, and a VGA port for an external monitor. Overall, even though it’s 18 years old (this unit could be older since the devices were demonstrated from 1991 onward), the device feels incredibly solid. Despite its weight (it’s heavy), it fits nicely in your hands. The touch screen isn’t particularly responsive (although this could be Windows 3.11 sucking badly), but it does work in the BIOS, in MS-DOS, in Norton Commander, and so on. It’s just plain awesome all around. I don’t have PenPoint OS. And this is where you guys come in. I know it’s a long shot, but since you guys (and the internet at large) never cease to amaze me, I’m really hoping you happen to own a copy of PenPoint OS somewhere. Maybe you know someone who has a copy. Heck, maybe you worked at GO, or you knew someone who did. On top of that – I also need a way to get the PenPointOS onto the device. I believe you use LapLink for that, but how to get that working I don’t know. If you can help, leave a comment, or send me an email. Note that when we do manage to find a copy of PenPoint OS, and get it to install, the device will be sent back to the museum with PenPoint OS still installed – a great little boon for the museum. Dear internet, don’t fail me now! While it won’t be this “PenPoint” product you want, 386SL still has a MMU and supports 32-bit protected mode, no FPU though (..unless NCR added one). You could likely install an older version of NetBSD or Linux on the system. I don’t know how the touchscreen is implemented, but there may be X drivers. Time must be off on their server. It’s generally fascinating how many servers seem to operate like that, despite NTP and such …makes one wonder how large portion of other things we do wrong for no particular reason. Generally, it would Back to the… no, installing NetBSD or Linux would just pointless in context. Don’t forget about the Rex. The first real PDA. Maybe you should try getting in contact with Robert Carr. It was in a trash heap in a third world country. I tried to get it working, but failed. Didn’t see any kind of disks for pen point. I think it also had win 3.1 with the pen add ons. I tell you all of the old interesting, messed up hardware ends up in the strangest places. Don’t forget about the Magic Cap operating system, developed by General Data for mobile PDA devices. Both Sony and Motorola made devices and for a while, there was even a version that ran on Windows. Magic Cap was made by General Magic. Magic Cap itself started life as a project within Apple, but gained little traction with upper management, so the team involved managed to spin out the company as a separate entity. The key figures involved included Macintosh creators Andy Hertzfeld and Bill Atkinson. I have the book by Robert Carr, Dan Shafer, I bought it for $1 shortly after ATT? threw in the towel. A shame really, it seemed far ahead of it’s time even when I bought it. Would have loved to have played with the device too. It’s been gathering dust next to my other tomes on deceased OSes like Taligent, BeOS. At some point all of this library will hit the big dumpster because owning it is only for people living in the distant past (moi). Article author: Contact me by email and I’ll put you in touch with two ex-GO employees with access to the alumni mailing list. Thank you for the comment – I will send you an email over the weekend . ..Thom, it will great if you find PenPoint OS and if you write something about it, why don’t you donate some screenshots and comments to wikipedia. I don’t edit Wikipedia (and certainly not to inject my own article! ), but others are obviously free to do so. I’ll be sure to clearly label any photos as CC. Time To Upgrade Your Palm OS?